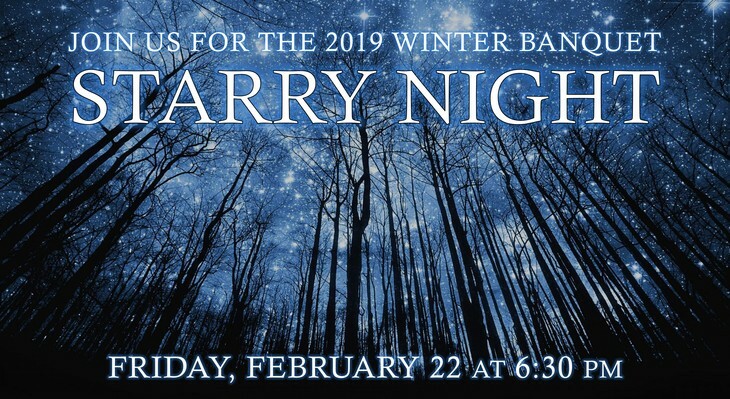 The Winter Banquet includes a delicious catered dinner, a humorous skit, edifying music, and a message befitting the theme "Starry Night." Our special guest speaker for the evening is Dr. Bill Lovegrove, Chairman of the Engineering Department at Bob Jones University. Dr. Lovegrove will speak on "Astronomical Phenomena and Scripture” including the Star of Bethlehem, eclipses, and recent controversies concerning the constellations. Dr. Lovegrove holds both an MS in Electrical Engineering and a PhD in Engineering from Clemson University. Tickets are $10 per plate. Ages 18 and over, please. or call the church at (828) 692-4312. The registration deadline is February 17. REGISTRATION IS CLOSED AND TICKETS ARE SOLD OUT! If you would like to be waitlisted, please click on the link below.